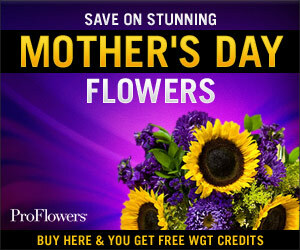 Mother's Day is Sunday, May 8th in the U.S.
FTD is offering up to 25% off high-quality flower delivery, and will give you $17.50 in WGT Credits for free. Shari's Berries offers gourmet treats, and will give you $12.50 in WGT Credits for free. Nordstrom offers luxury women's accessories and perfumes; spend over $100 and get $25 in WGT Credits for free. See All Mother's Day Offers. WGT is running a special offer this weekend thru Sunday April 24th. 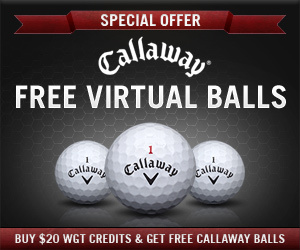 Buy $20 WGT credits and you get 3 free Callaway Tour i(z) virtual balls. These top-selling virtual balls provide maximum distance and accuracy in WGT. They are normally not unlocked until Level 35, but are available free with purchase of $20 or more WGT Credits. Use your credits for match play challenges, Ready-Go Tournaments, or to upgrade your virtual equipment and get ready for the upcoming Virtual Opens. *One-time offer limited to WGT players. 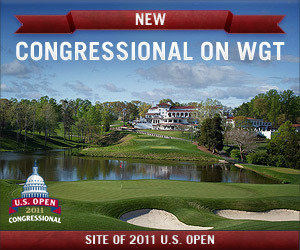 Buy $20 or more of WGT Credits by 4/24/11 and receive 3 free Callaway Tour i(z) (L35+) virtual golf balls. WGT has partnered with TruGolf to add their golf simulator courses to WGT.com. These are high-quality full stroke-play courses from around the world. TruGolf is the core team behind the popular Links PC golf game. The first new course available on WGT is Cabo del Sol, a resort course in Mexico designed by Jack Nicklaus and rated in the Top 100 World Golf Courses by Golf Magazine. WGT players will enjoy the beautiful ocean views and drivable par fours and reachable par fives. This enables any WGT player to try nine great shots on TruGolf for free as often as they want, and those who are interested can use WGT Credits to play the whole course. The TruGolf courses are optional courses on WGT that address requests from experienced WGT players for more stroke-play courses. The 12 existing WGT courses and other new WGT-produced courses will continue to be free of charge, including the upcoming Virtual Open courses this summer. Experience the beauty and challenge of Congressional Country Club in the first phase of the Virtual U.S. Open by playing the front 9 closest-to-the-hole tournament. You will get a sneak-peek of the course to help prepare you for the Virtual U.S. Open stroke play qualifying round on the full course beginning in May. Play the Virtual U.S. Open today! 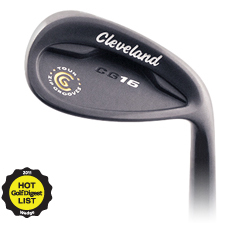 Cleveland Golf is famous for their wedges and their latest CG16 Black Pearl Wedges are top performers. The combination of the Tour Zip Grooves and Laser Milled Surface technology provide maximum spin and precision. In the right conditions, WGT players will be able to back-up their approach shots, just like the pros! Available in 52, 56 and 60 degree versions and begin to unlock at level 26 and 74. Check out the Level 26 Wedge and Level 74 Wedge here.